You’re eager to start a blog, you’ve sorted your niche and you are now ready to welcome your tribe. But there’s a catch: you don’t know what blogger voice to pen your posts in. In other words, ‘Who are you’ the blogger vs you offline? What personality, persona, person should be be you online? Your old friends in your neighbourhood know you, but now you’re going to be perceived by others solely via your online presences on your blog and social media. The blank page of your first post or two post is staring you in the face and the revisions counters are notching up well into double figures. Your posts are still in draft. It’s not that you don’t know what to write, it’s more a case of it just not coming out right. strong>Relax, take a deep breath and – wait for it – JUST BE YOU! We’ve all heard the adage ‘fake it til you make’ it. But that just won’t cut it in the blogosphere. Fake it and you will fail to make it as a successful blogger. Fake who you are or what you know, and you’ll be found out pretty early on at worst or, at best, simply never attract that coveted, loyal fans who hang on your every word of content. Just make sure you are YOU! The videos, Periscopes and posts will be far easier if you just stick to who you are – the regular ol’ you that those home friends know and love. If you coiffure yourself up or pepper your posts with words you see A-list bloggers using, your whole body language and voice – in videos and in prose – will be stilted and off-putting. 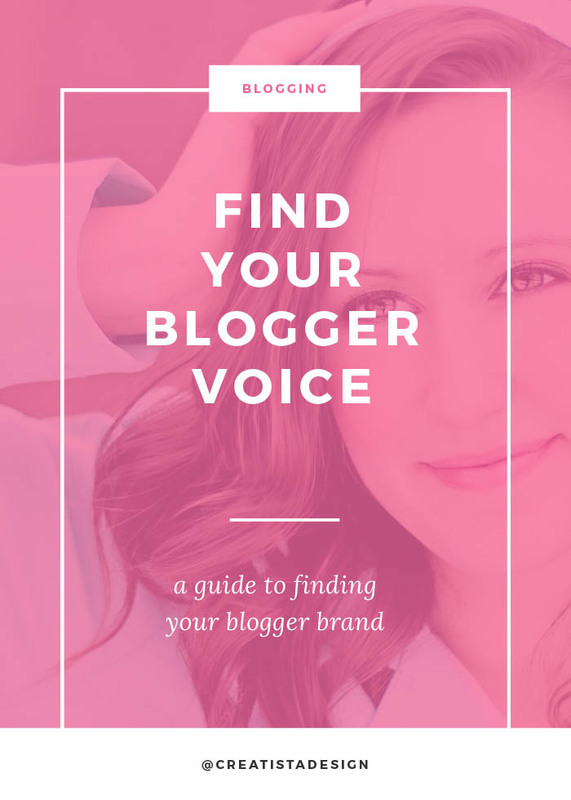 To make your blog a business, you do need yourself to have a clear brand voice. But forget for now playing around with templates, colours, graphic design, logos and all those fun brand to-do’s to get your blog up and running. Those might get you initial eyeballs, but remember, your long-term, loyal fans will tune out your beautiful template as their aim in returning to your blog is your awesome content. You need to be clear about your blogger personality and voice early on and stick to it and not rely on graphics to substitute substance of content. 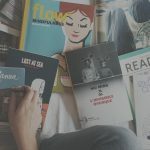 As you’re unlikely to be blogging in a niche where no one has blogged before, your personal voice and style in delivering that substance – gems of education, entertainment and information – is what differentiates you. Don’t panic, there is plenty of room for a whole spectrum personalities in any niche, whether its bio-chemistry or beauty. AbsolutelyPrabulous – Prabs is a very funny mommy I happen to know here in Malta. Her cutting irony and antics of running a family of three in a foreign land is hilarious. We romp along with and admire her stand-up comedienne sense of humour when all goes awry. NotSoMumsy is a chic, media-savvy Australian mom who writes and models in a to-die-for, fashion-lifestyle bog. She trend sets for young moms who don’t wish to be mumsy. The subtitle is ‘life & style for the modern mama’ and she wows us with her edit of fashion. Carrie Dils – a WordPress and Studiopress guru who does podcasts, useful video tutorial and timely informative posts. Annabel Williams – a photographer whose site is loaded with vids, tuts and tips and is very ungeeky and untechie. Boisedejasmine – is run by fragrance industry analyst, writer and formally trained perfumer Victoria Frolova. She has been blogging for over 10 years and her blog is a huge work but aimed equally at the newbie and die-hard perfumista..
Chemist in a bottle – is the diary and notes of perfume industry fragrance chemist Lucas. His style of informed but informal scientist writing is clearly for the less sciency perfume addict. Becoming Minimalist – a middle-class, average (I guess) 30-something couple with kids living in Arizona chose to live life minimally, cutting back on the things they don’t need and making time for quality things that we more well endowed do miss out on. A successful blog out of life hacking. WhatKatieAte – Katie Quinn Davis started life as a wannabe food photographer with a half-hearted blog. But egged on by a small early following, and determined to crack the pro world of food photography, Katie’s blog became an international sensation. Two books of incredible food photos and recipes and counting! How life would have been different if a certain fan hadn’t written to her to ask her why she’d halted her blog! Katie’s photography style is unique, or was, until copied though few came close to equaling her. Adventurous Kate – notched up five years of on the move travel blogging and is now taking stock. 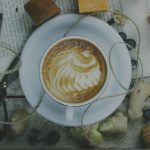 Her post on how she managed to travel and make a living from her blog, and the pros and pitfalls of the various money-making options is a good read in itself. These bloggers edit a theme – usually beauty, lifestyle, fashion and so on. We admire their eye and graphic presentation – they are usually prolific on Instagram and Pinterest – and their personality is stamped loud on their edit. To stand out, you do need a quirk and twist to your editor’s eye. Design Sponge – so famous, Grace Bonney needs little introduction. 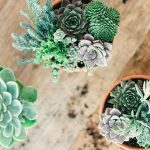 Design Sponge has been sending us eclectic edits of all things design for home, lifestyle, crafts and more for over 10 years. See her telling interview on how to turn your blog into a business. Note she says “I had a real passion for the community I was living in and kept my writing style enthusiastic and honest, which really translated to readers”. Hers is a lesson in starting small, thinking local and becoming global. The voice of Design Sponge sings on through even though Bonney now has a small team writing and editing. LobsterandSwan – near Brighton-based (UK) crafter and vintage / remodellista blogger now with her own shop started on the back of the blog’s success. Bodie & Fou – two French sisters living in London who edit a with an eye a rave collection of home and fashion items. Recap – There is no one like you! So just do it! As you can see from the blogger personalities and styles above, there’s room for all, and all for the taking. For sure, we’re going to browse other blogs for inspiration and hints, but if you stick to being yourself in your niche, there is no way you’ll replicate other’s ideas.